There’s a fun Scrap Covered Clipboard Tutorial at dear fii. 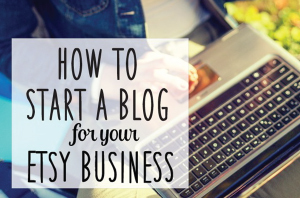 It will make you want to save even the smallest pieces of fabric. Kayte from Craftstylish.com shows you how to make these cute little hair pins…what a great gift idea! 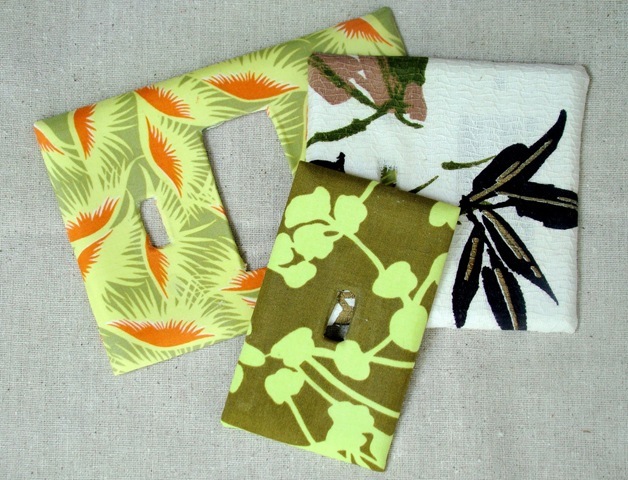 Vickie Howell made these light switch covers from her leftover designer fabric. That sure beats my plain ones! No Sew Wall Art from Sew, Mama, Sew! Very cool, don’t you think?! 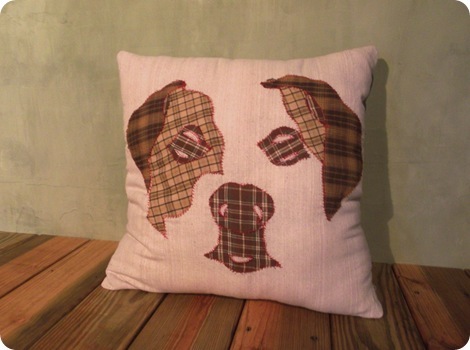 One Forty Three made this dog pillow that looks like her dog…that’s a creative use of scraps! Fabric Covered Buttons from craftleftovers.com…these are always a great choice for those tiny scraps. 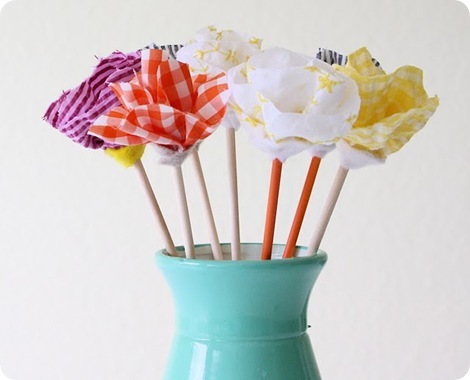 No Sew Flowers by Made are beautiful! They would make anyone’s day a little brighter! 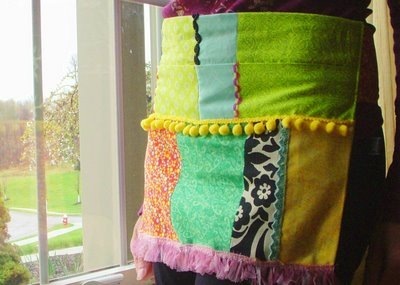 This Scrap Fabric Apron on FaveCrafts.com is reversible! I love the bright fabrics she used for this one. I’m always looking for fresh new ways to use fabric scraps! Any ideas? 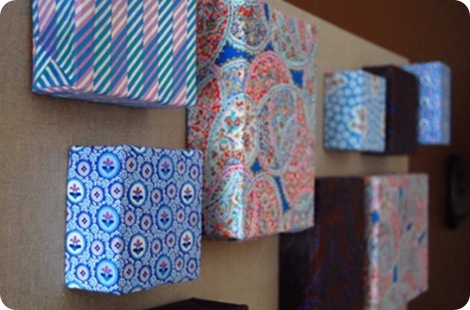 What’s your favorite way to use fabric scraps? 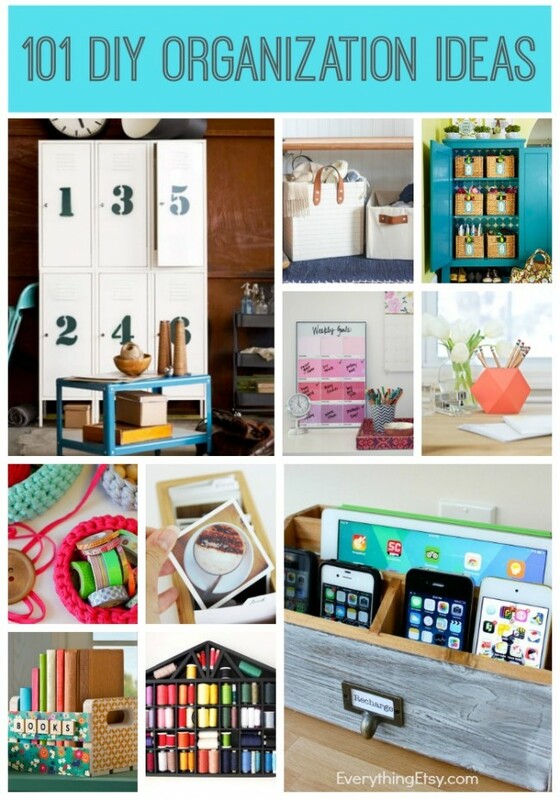 I love these fun ideas! 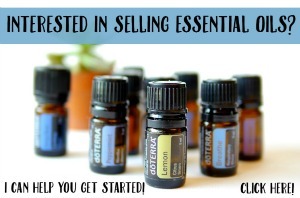 I want to put my scraps to use! 🙂 Thanks for sharing. Have a great night. We just bought a house… I’m gonna making those switch covers for sure! Great idea. 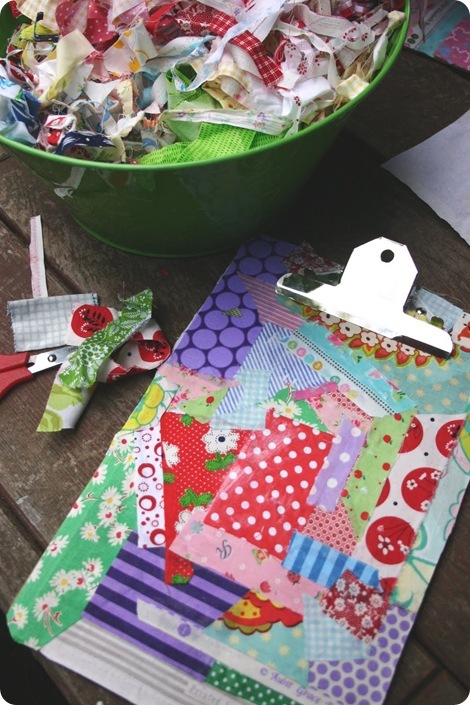 Great Ideas for fabric scraps. I just posted on my blog a way to use scraps. They were all made with scraps I’ve been collecting for a while now. The craft show I organize, Meet Your Maker, hosted a make and take table at our show in December and we made the hair pins. They were a big hit! Super fast to make and so cute. Wow, the button info is exactly what I needed. 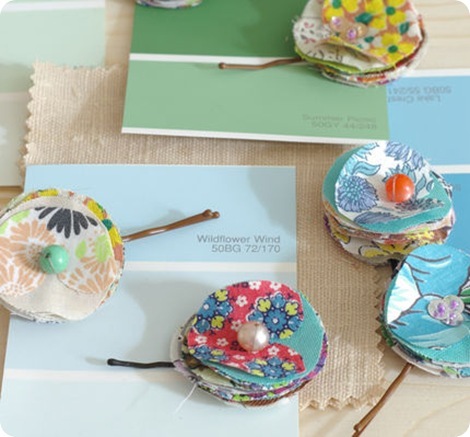 I’ve been looking at fabric covered buttons to incorporate into my jewerly for Spring and Summer, now.. I can do it myself! Wish I had a bunch of fabrics scraps though. Great ideas! I’ll post this on my blog in a few days. I don’t have scraps laying around, but these make me want to CREATE some. hahaha! I plan on making the flowers for a friend’s birthday! Previous Post More Free Banners For Your Etsy Shop!